The Heard Museum will be home to the Pablita Velarde Museum of Indian Women in the Arts research collection, a collection of mostly archival information on three generations of a family of beloved American Indian artists. 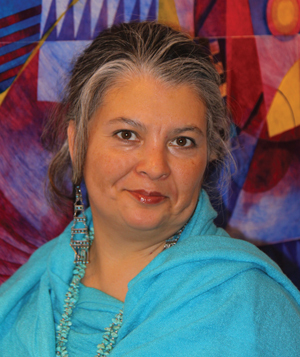 The collection had been under the auspices of the Board of Trustees of the Pablita Velarde Museum of Indian Women in the Arts in Santa Fe, New Mexico. Prior to Bagshaw’s death on March 19, 2015, Margarete and her husband Dan McGuiness — as trustees of The Pablita Velarde Museum — approached the Heard as the institution with the appropriate infrastructure and mission to support the research collection in the future. The collection, which will be housed at the Heard’s Billie Jane Baguley Library and Archives, contains papers, photographs and other material documenting the lives and careers of three generations of trailblazing Santa Clara painters: Pablita Velarde (1918-2006), her daughter Helen Hardin (1943-1984) and granddaughter Margarete Bagshaw (1964-2015). 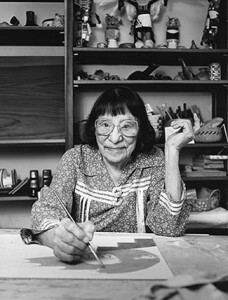 This fall, the Heard will install a historical recreation of Pablita Velarde’s studio. Inside the Heard Museum Billie Jane Baguley Library and Archives.